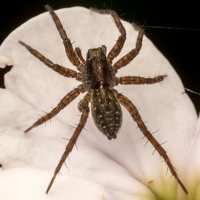 EN · wolf spiders DE · Wolfspinnen PL · pogońcowate RU · пауки́-во́лки from Wikipedia: Wolf spiders are members of the family Lycosidae, from the Greek word "λυκος" meaning "wolf". 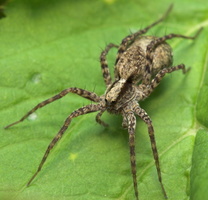 They are robust and agile hunters, and have good eyesight. 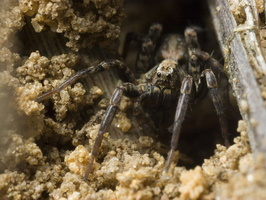 They live mostly solitary lives and hunt alone. 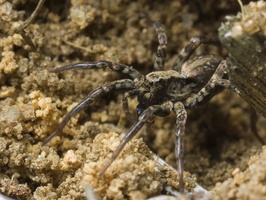 Some are opportunistic wanderer hunters, pouncing upon prey as they find it or chasing it over short distances. 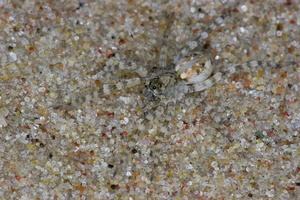 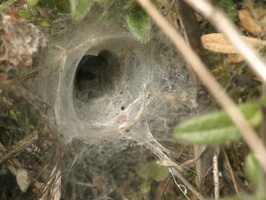 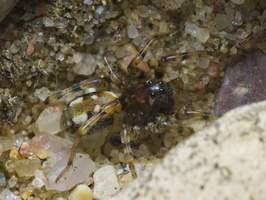 Others lie in wait for passing prey, often from or near the mouth of a burrow. 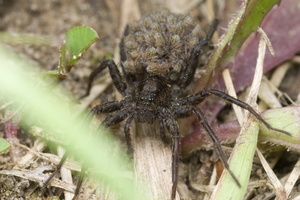 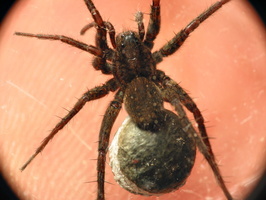 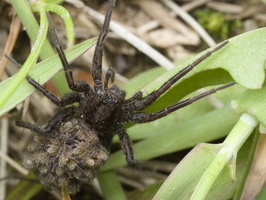 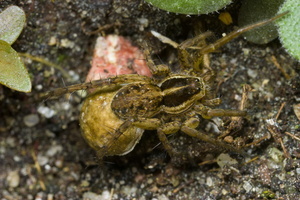 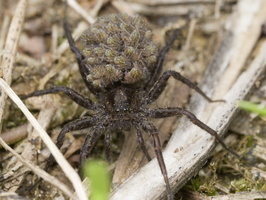 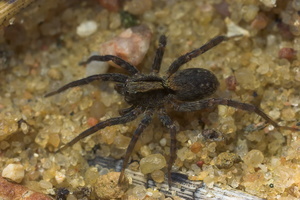 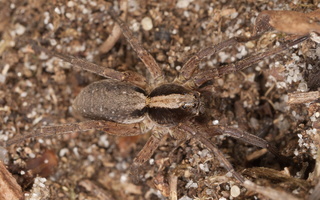 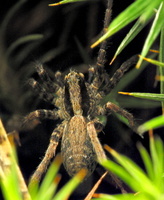 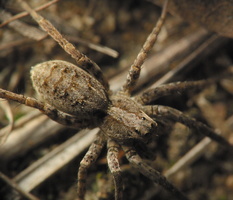 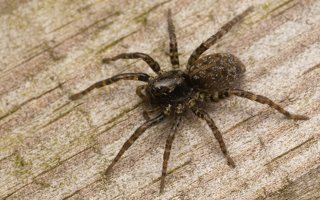 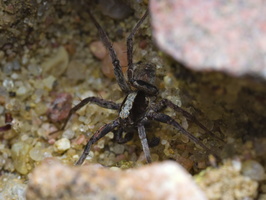 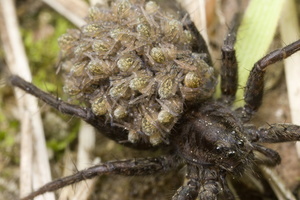 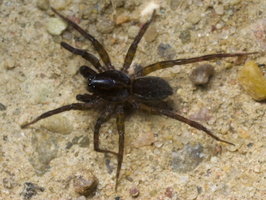 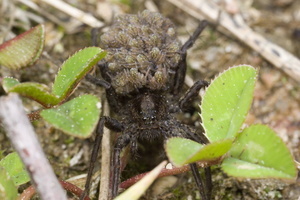 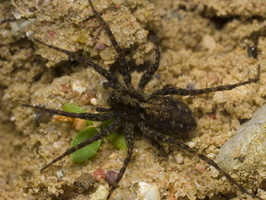 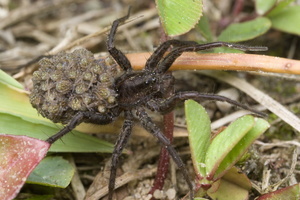 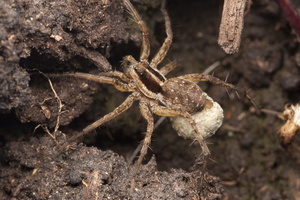 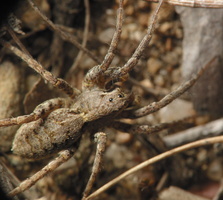 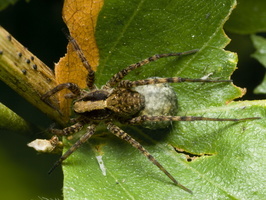 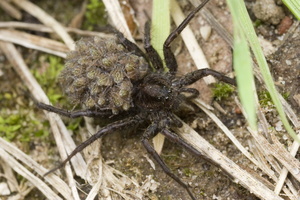 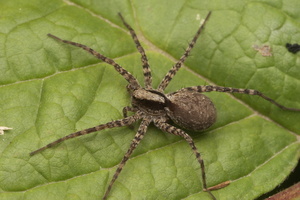 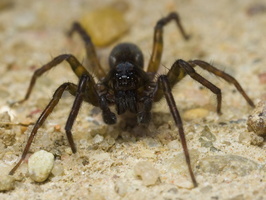 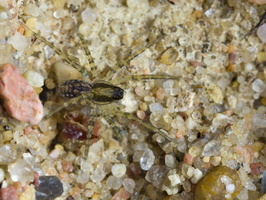 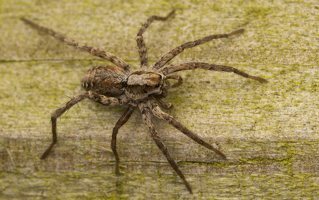 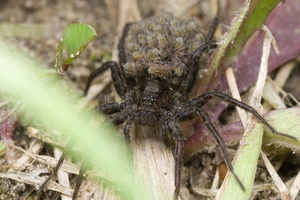 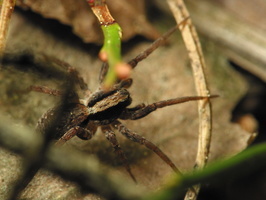 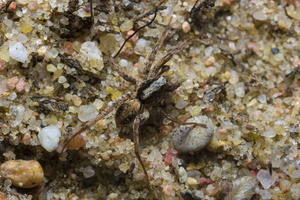 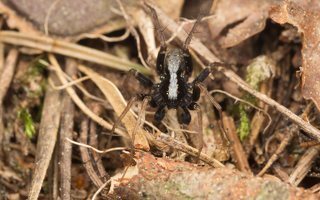 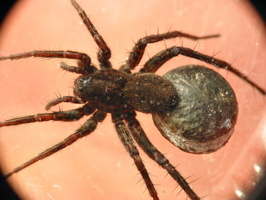 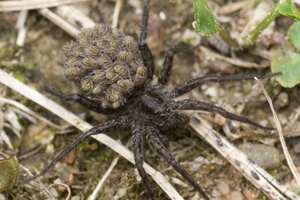 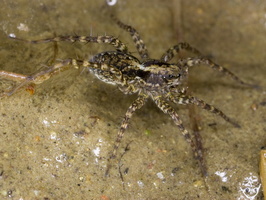 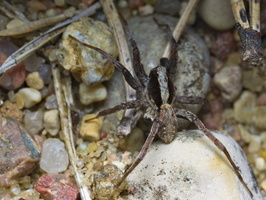 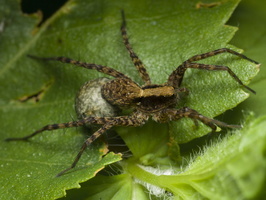 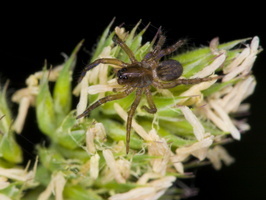 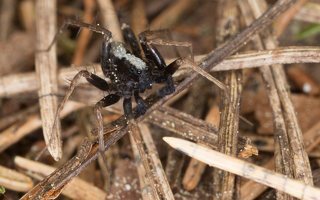 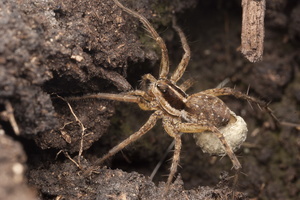 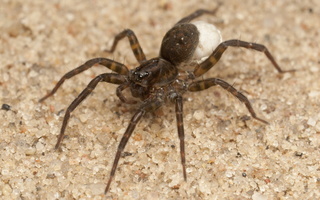 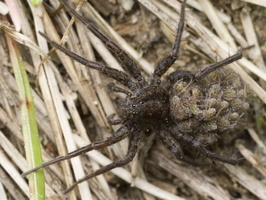 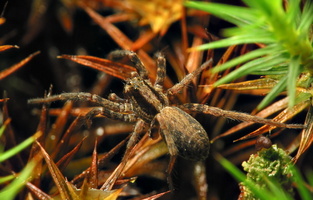 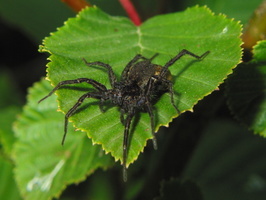 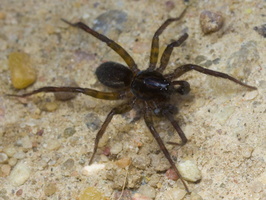 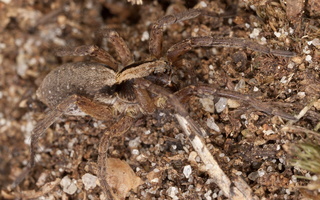 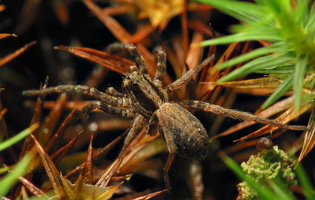 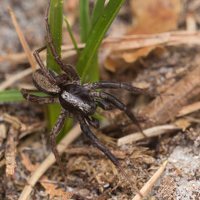 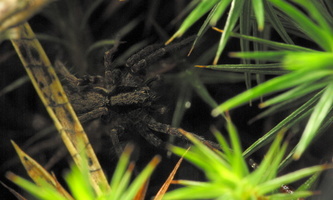 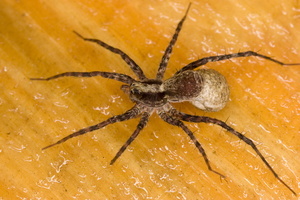 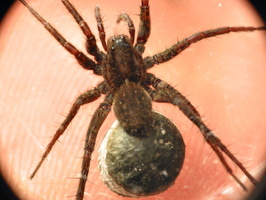 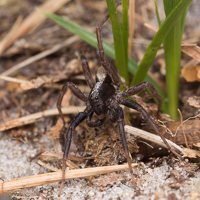 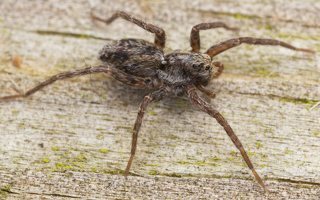 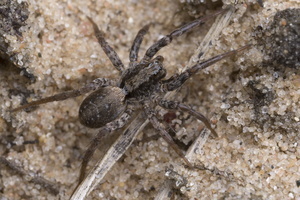 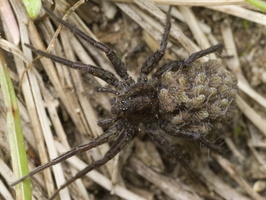 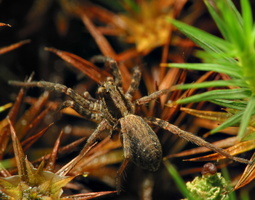 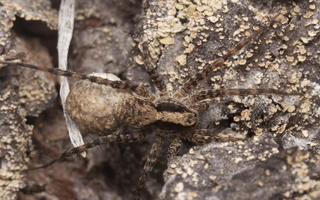 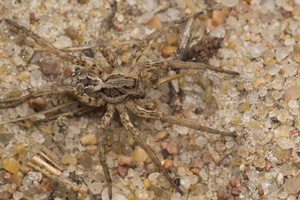 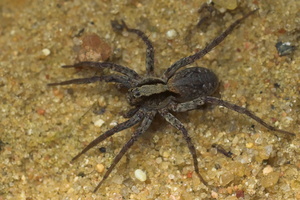 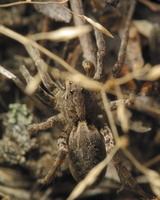 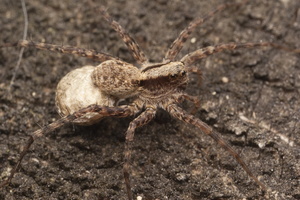 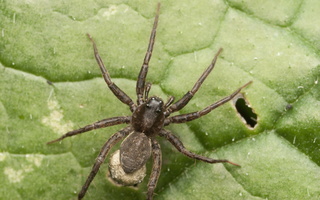 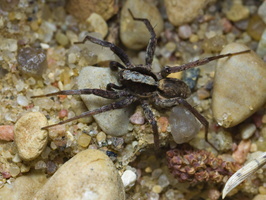 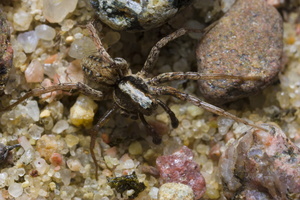 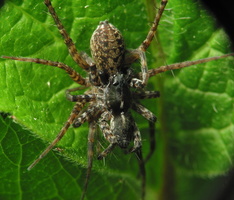 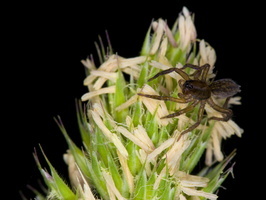 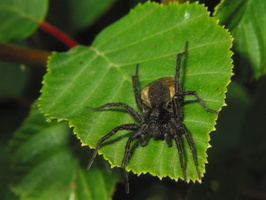 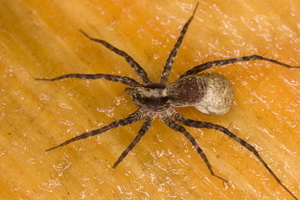 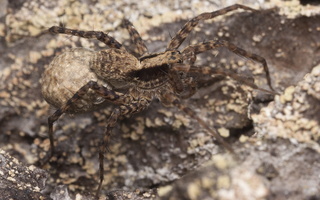 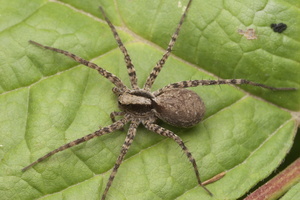 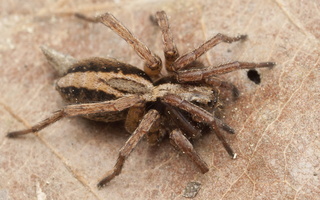 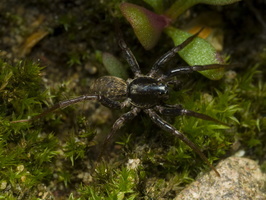 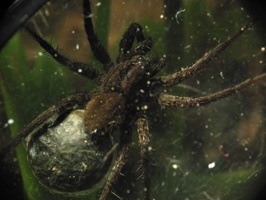 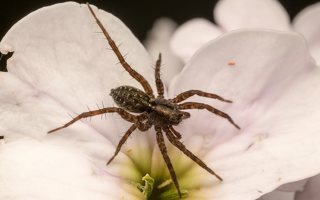 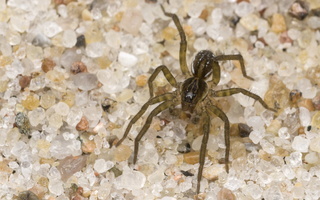 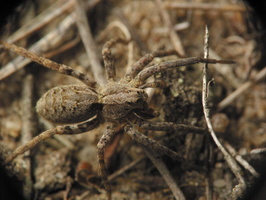 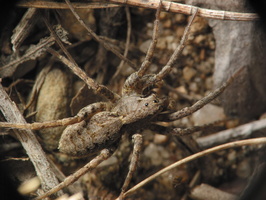 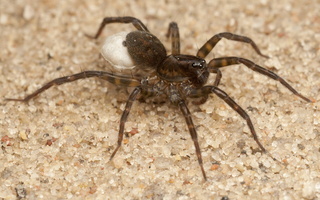 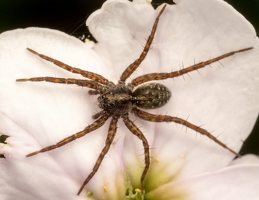 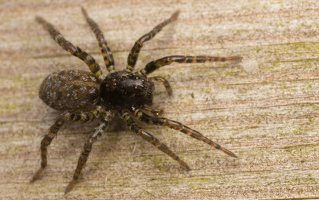 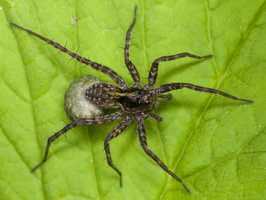 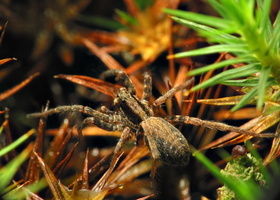 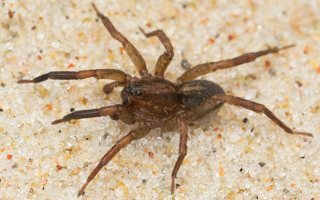 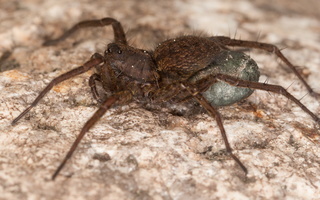 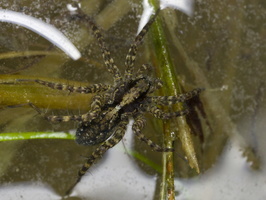 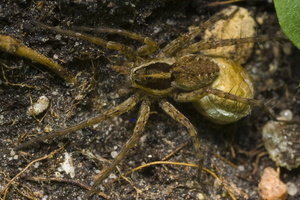 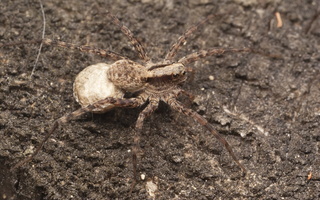 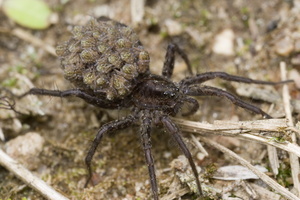 Wolf spiders resemble Nursery web spiders (family Pisauridae), but they carry their egg sacs by attaching them to their spinnerets (Pisauridae carry their egg sacs with their chelicerae and pedipalps).